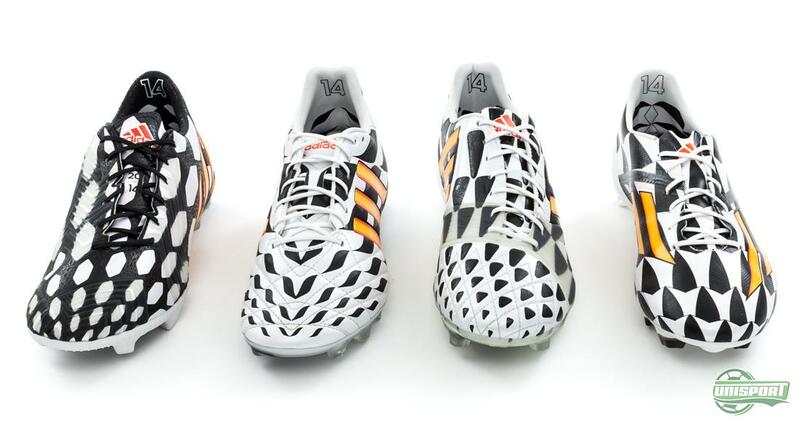 If you thought Adidas were done warming up for the World Cup, you would very much be mistaken. Earlier today they presented their World Cup line-up in a collection they call the Battle Pack, which comes with a design inspired by old warpaint. 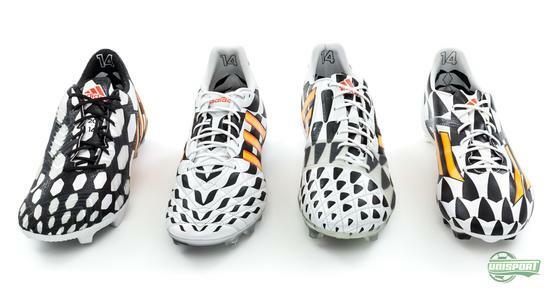 To bare the Battle Pack you need to be willing to go All In and the new Predator Instinct is a great starting point. 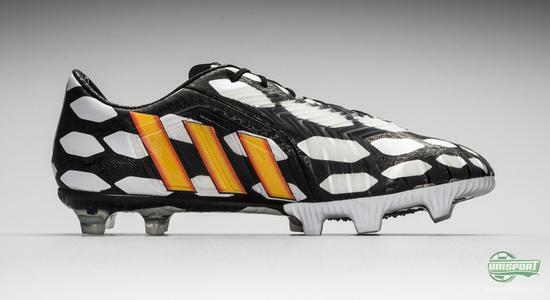 The Predator-collection has been an iconic football boot since 1994 and especially David Beckham immortalised the boot. 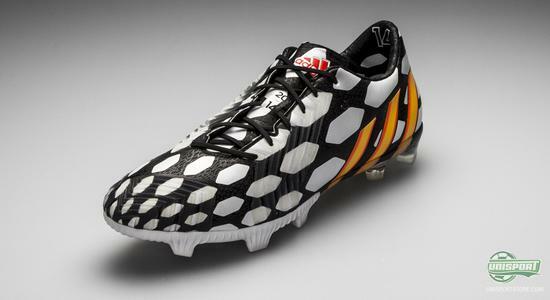 The special part about this model is the unique “rubber” zones on the boots upper, which gives the player the right prerequisites to control the ball in an incomparable way. 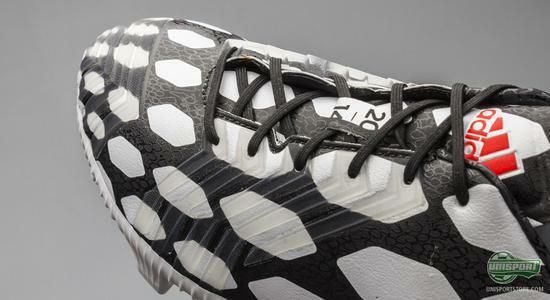 Pre-order the new Predator Instinct Black/White now – Just €209. The Predator Instinct is Adidas' shot at a World Cup version boot for the playmaker and while the concept for the Predator remains the same, there are small, but significant improvements that make the boot sharper than ever before, when Oscar, Özil and Torres intake Brazil this summer. The Battle Pack represents Adidas' “All in or Nothing”-campaign, which is all about giving everything you have to make it to the top. In other words Adidas see the World Cup, as black on white – you go all in or nothing. This is the background for the boots, which come with a completely equal spread of black and white, only broken by the three yellow stripes. As the only one of the four silo's Adidas have chosen to give the Predator Instinct a white on black design, which they found more fitting for the lethal Predator boot. 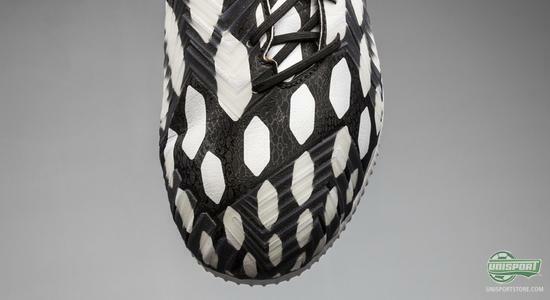 While the design is inspired by the will to go all the way, like ancient Brazilian warriors, then the pattern on the boots are also based on animals native to the Amazonian forest. And what better beasts to base the boot on than notorious carnivores like the alligator and the snake, which perfectly reflect the Predator Instinct's nature? Like we know from the Predator LZ, this model also has the strategically placed Lethal Zones on the upper, which all work to improve the players technical qualities. The zones are also made bigger and more aggressive, by using the 3D developed SL rubber, which optimises control, by affecting the way the ball and boot interact. At the same time the Pass-zone has been modified with newly developed cushions that help improve precision, when passing. 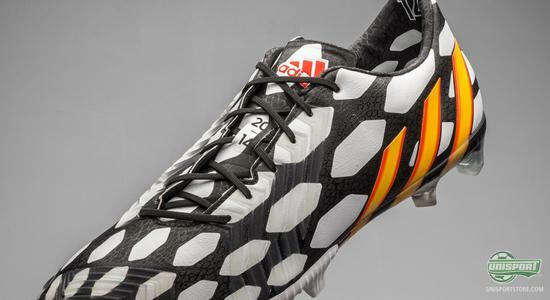 The upper is still the Hybridtouch material, which is Adidas' leather-emulating material. It takes the best kangaroo leather qualities and mixes with the advantages of synthetic. This combines to make an upper, which is incredibly supple, but still remains light and water-repellent. 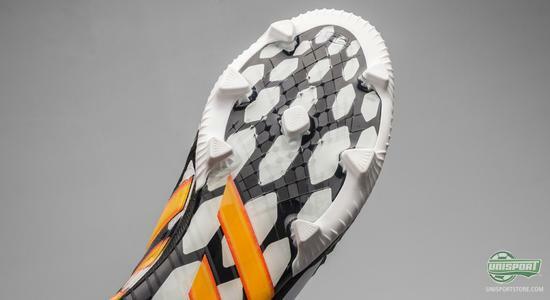 The biggest change on the Predator Instinct comes the way of the outsole, which is no longer the SprintFrame, but rather a transparent TPU sole, which is more flexible around the front foot and far more responsive in the midfoot area. And to complete the sole Adidas have given the new Predator their revolutionising ControlFrame, which we know from their 11Pro boot. 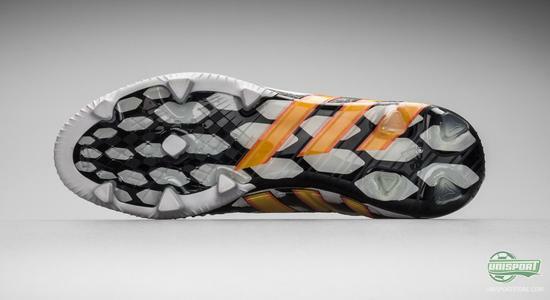 This sole is developed to give the player more flexibility and added control of your movements. Under the sole the stud-configuration is still the well-known Traxion 2.0-system, which gives perfect dispersion of pressure under your foot. Here Adidas have moved the middle stud further up, to improve control and stability. The Battle Pack represents Adidas' World Cup line-up and comes in a daring design, which we will see all over the pitches in Brazil this summer. 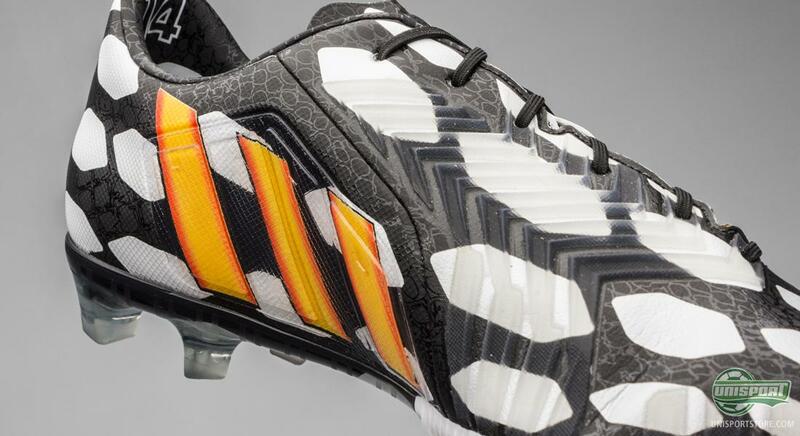 Stars like Mesut Özil, Xavi and Steven Gerrard will wear the Predator Instinct and if ever there was a group of player, who could control play, it was those three. Who are you looking forward to seeing in the new boot the most? Leave your comment in the box down below, or on Twitter and Facebook.